Come to KALER Motor Company for the most dependable repair and maintenance work for emergency vehicles. We can handle just about any job, from refurbishing older trucks to replacing parts that no longer function properly. In addition, we have fire trucks and other ambulance vehicles for sale. Restore your truck to working condition. Contact us at (215) 997-3665 to schedule a repair. 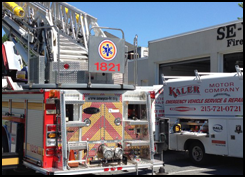 KALER Motor Company, located in Hatfield, Pennsylvania, is a fire apparatus and emergency vehicle dealership with four road service vehicles. We also have one mobile, in-station preventative maintenance unit and one mobile pump flow-testing unit. Collectively, our six technicians have more than 75 years of heavy truck experience and more than 35 years of experience specializing in emergency vehicle service and repair. 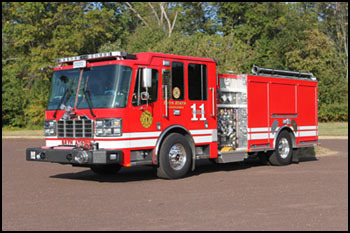 Whether you need ambulance repair or new fire apparatus in Lansdale, PA, contact us today. Bob Kaler is the founder of KALER Motor Company. His heavy truck experience is rooted in his teens, where he spent a great deal of time working on trucks. After graduating from high school, he attended Pennsylvania College of Technology, where he expanded his knowledge in diesel engines. Upon graduation, he accepted a job as an emergency vehicle technician for the largest fire truck manufacturer. He worked for the company for six years. In August of 2005, Bob founded KALER Motor Company, and the rest is history. Bob is Pierce™, Waterous™, and Hale Pump™ factory trained. He is EVT and ASE certified, meeting the NFPA 1071 Standard for Emergency Vehicle Technician Professional Qualifications. Our mission is to provide excellent support and service to our customers on a daily basis. Apparatus maintenance is conducted under the NFPA 1911 Standard for the Inspection, Maintenance, Testing, and Retirement of In-Service Automotive Fire Apparatus. Authorized Sales and Service Center for Ferrara Fire Apparatus, Inc.